If your child is late 10 minutes every day, then over the course of a year, they will miss out on 32.5 hours of learning time – which is the same as being absent for more than a full week of school! We want to work together with parents to provide children with the best possible start in life. Part of our role as adults is helping the children we take care of to develop important life skills. Attendance and punctuality are two very important life skills. Although we recognise that it is the parent’s responsibility to ensure their child is in school and learning, we also play our part. • By having a supportive Family Support Worker who works closely with families to address barriers to improve attendance and punctuality where necessary. • By monitoring pupils, informing parents/carers in writing of irregular attendance, arranging meetings with them if necessary and referring the family to the EWO if the irregular attendance continues. We are only allowed to authorise certain categories of absence. If your child is genuinely ill, then this is authorised. If you go on holiday during term time, this is seen as wilfully preventing your child from access to important education. In this situation your child’s absence will be noted as unauthorised. Our curriculum is carefully structured to teach your child important skills and knowledge throughout the term – therefore holidays during term time WILL NOT be authorised. We have a legal and moral obligation to ensure children are not prevented from learning – if you go ahead and take your child out of school a penalty charge may be issued. In the event of absence or lateness, the school office should be contacted on the first day of absence on 01782 234868. Children are expected to be in school at 8:30am. If they arrive later than 8:35am they will be marked late. Children arriving after 9am will not receive a mark for the morning. Children arriving late should report to the main school office. Children MUST be signed in by the adult bringing them to school and a reason of lateness must be provided. • A phone call will be made on the first day of absence if parents have not informed the school of their child’s absence. If for any reason an absence is not explained, a letter will be sent. • Where common patterns occur the educational welfare officer will intervene at the request of the school, where attendance panels will be convened. • Parents/Carers with children with an unsatisfactory absence will be required to provide a Doctor’s certificate to verify their absence. 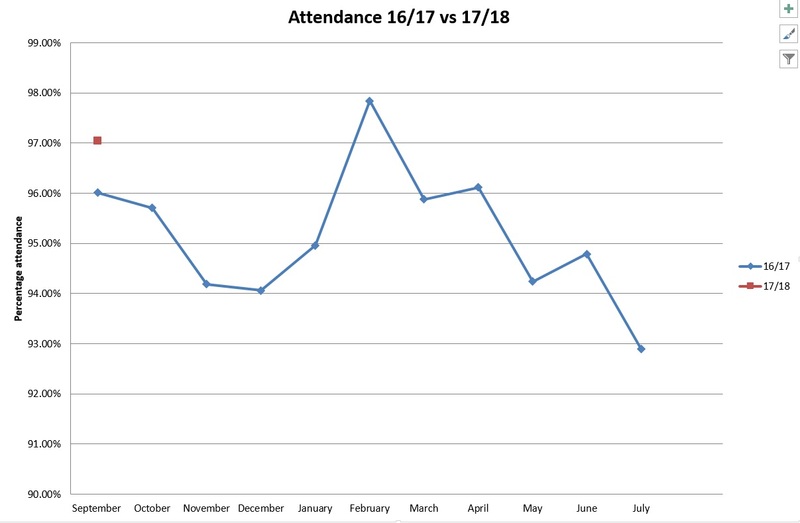 • The school will not authorise any form of absence for children who have an absence level of below 90% unless in exceptional circumstance or where a child has been ill for a period of time. • Occasional absences should only be taken in unavoidable circumstances and at the Principals discretion. Events that could take place at weekends or holidays such as visits to theme parks, museums etc will not be authorised unless in exceptional circumstances. • Where common patterns occur or attendance is poor the educational welfare officer will intervene at the request of the school and attendance panel convened. No satisfactory improvement could result in a fixed penalty fine. • Doctor’s appointments etc are recorded as authorised lateness using a different symbol. • Where there is concern a letter will be sent. 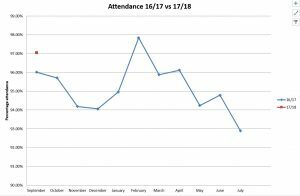 • Where there is no significant improvement the parents/carers will be invited into school to discuss the situation and meet at an attendance panel.